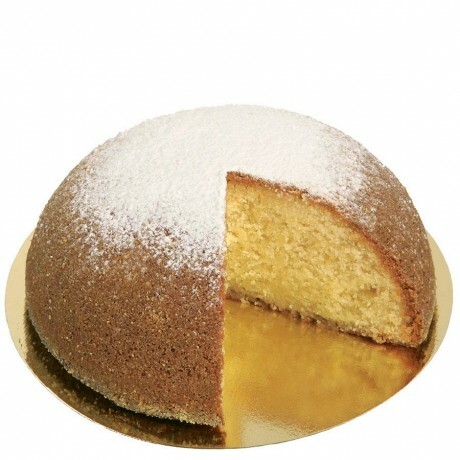 The Dolce d'Amalfi cake with Lemons I.G.P. and Almond represents the most authentic expression of tastes, colours and scents of the land in which it is made. The shape recalls the shape of the sun, and its flavour offers the unique fragrance of the Sfusato I.G.P lemons of the Amalfi. 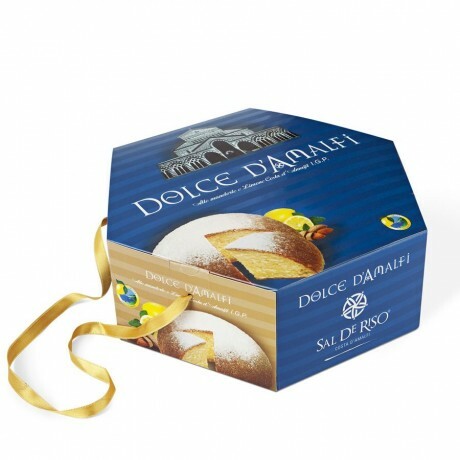 The Dolce d'Amalfi can be stored for long periods of time in any climate. It is nonetheless made entirely from natural ingredients, without additives or preservatives of any kind. Shelf life: 3 months from the date of packing, preferably consumed by the date indicated on the label. How to use: it is advisable to consume the product as soon as possible as it contains no preservatives. Keep in a cold and dry place. Salvatore De Riso was born in 1966, after studying as a cook and working in the kitchens of the best hotels in the Amalfi Coast, in 1988 discovered his big passion for pastry. 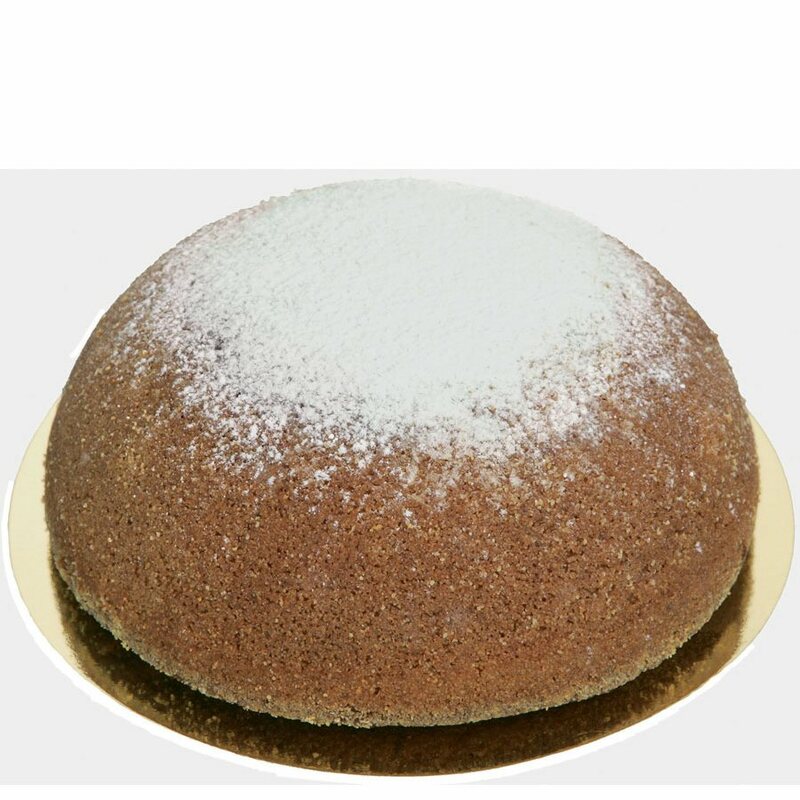 Born professionally in a small workshop in Minori, he had no professional oven and planetary suitable for discrete production, to achieve his cakes he used the simple electric whisk of his mother and the oven of the baker in Minori. In the year 2000, he opened the Pasticceria De Riso on the seafront of Minori and in 2001 a second, larger artisan workshop in nearby Tramonti. Within a few years, his pastry shop became one of the best known and most important in Italy. Minori is now a popular destination for those who appreciate fine pastries. They travel to this seaside town especially to buy Salvatore’s products, evocative of the scents, tastes and traditions of the Amalfi Coast. In 2016 he has opened his new pastry shop “Sal De Riso Costa d’Amalfi”, the only one directly managed by himself: it is a food multistore composed bay different departments of pastry, ice cream, coffee bar, pizza&bistrot and American bar. His success is due to the passion he brings to his craft, and above all, to the quality of the ingredients, he insists on using, acquired from only the finest producers and refiners. Salvatore has studied with some of the greatest pastry chefs in Italy. In 1994 was the first pastry chef from the south of Italy to be admitted to the prestigious Accademia Maestri Pasticceri Italiani. In 2008 Salvatore celebrated his first 20 years of professional life with the release of his first book, Dolci del Sole, published by Rizzoli. In 2014 he wrote his fourth book “The King of the Cakes” published by Rai Eri. Today all his publications sell thousands of copies.